A stunning black satin top that is a very flattering design and style. 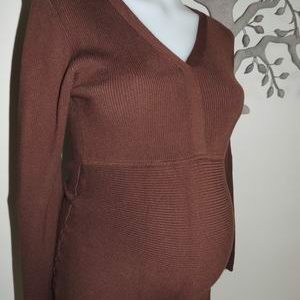 The top is by Patch in size medium or 12 and is in very good gently preloved condition. The top crosses over at the front and has a band above the belly that becomes a tie through the back. There is a hidden zipper through the sideseam for easy dressing. 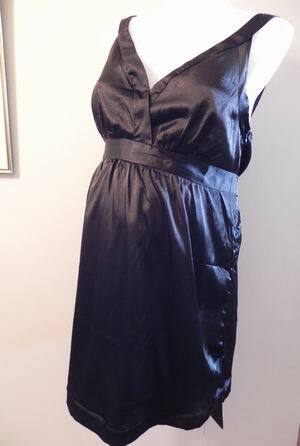 Be the first to review “Black Satin Crossover Maternity Top with Tie” Click here to cancel reply.